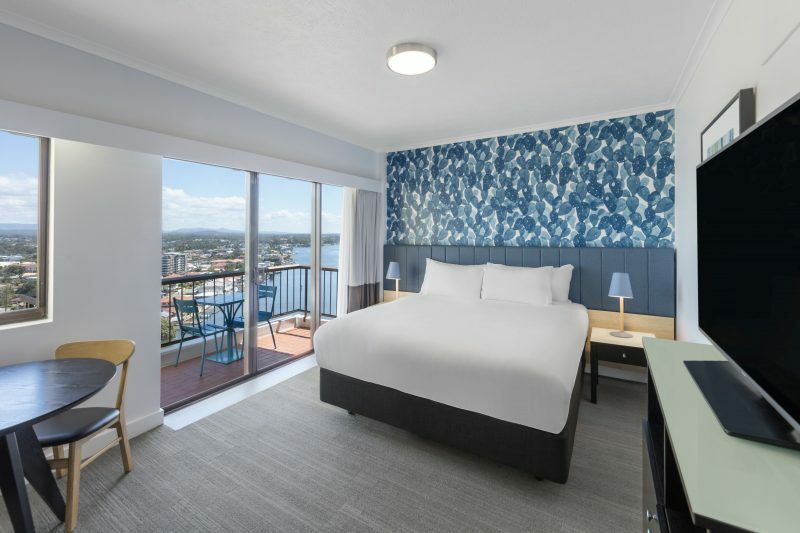 Vibe Hotel Gold Coast is centrally located in the midst of Gold Coast lifestyle, opposite the Chevron Renaissance Village, just a block from Cavill Avenue, the heart of the Gold Coast shopping district and overlooking the picturesque Nerang River. 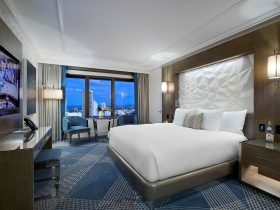 The 199 hotel rooms have spectacular views, and is moments away from sandy beaches and the Esplanade. The hotel has an outdoor pool with heated spa, seasonal pool bar and gymnasium. Take a seat in Curve Restaurant + Bar, or retreat to the privacy and comfort of your spacious hotel room. 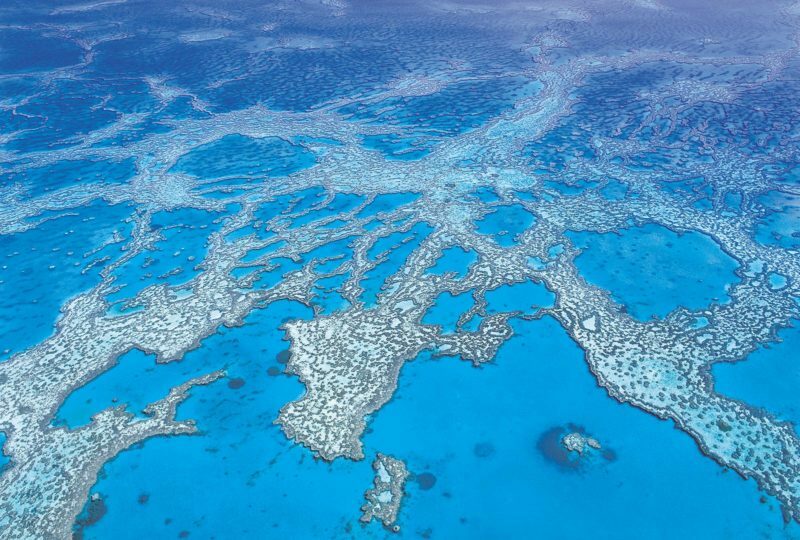 The ‘Big Three’ amusement parks, Sea World, Warner Bros. Movie World, and Dream World, are a short drive from the hotel. Wildlife parks, museums and galleries are also conveniently close. 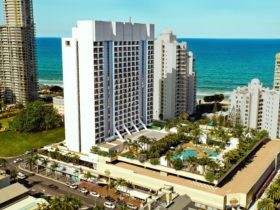 Vibe Hotel Gold Coast specialises in conferences, meetings, seminars, and team-building exercises. The four versatile meeting rooms can accommodate up to 100 people theatre style. The riverside setting and friendly service blend to create a perfect venue for your Gold Coast getaway. 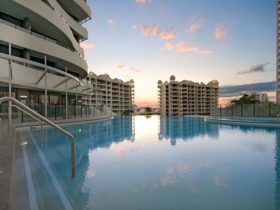 Vibe Hotel Gold Coast offers free wi-fi to all your travellers. 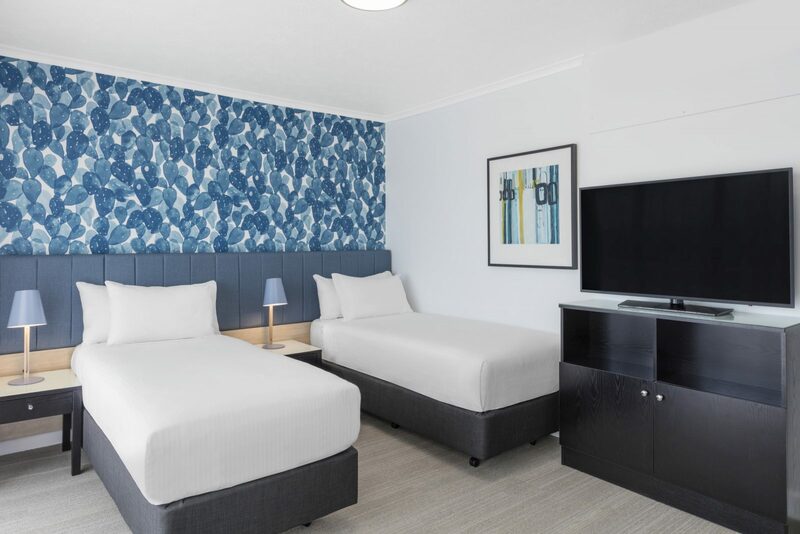 Overlooking a picturesque sweep of the Nerang River and with views to the east of the sparkling ocean, or west to the Gold Coast Hinterland, their Guest Room at Vibe Hotel Gold Coast makes an ideal base for your stay in Surfers Paradise. 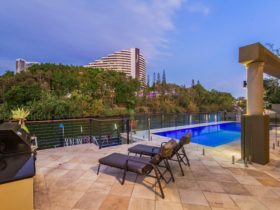 Overlooking a picturesque sweep of the Nerang River and with views to the east of the sparkling ocean, or west to the Gold Coast Hinterland, their Deluxe View Room features a King Bed and a kitchenette and balcony making it the perfect base for your stay on the Gold Coast. 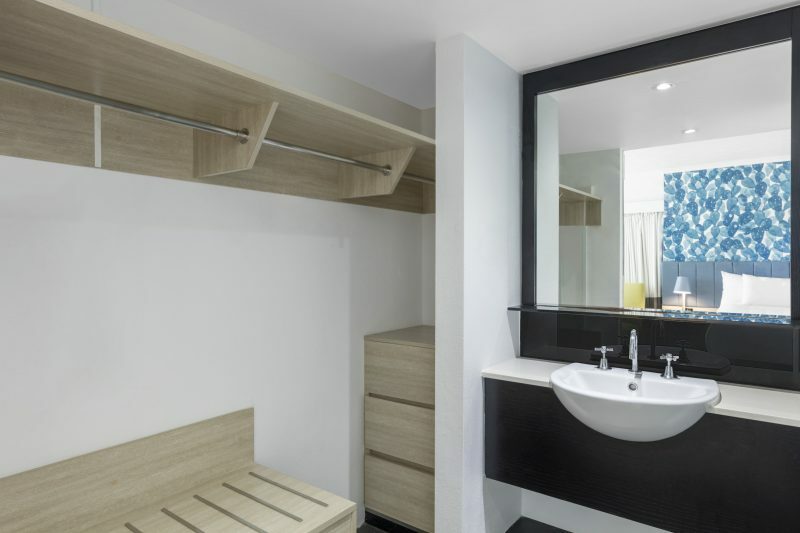 Studio room offers a separate living area with kitchenette, balcony, ironing board and hairdryer, in room safe, tea and pay movies (fee), broadband. Perfect for two adults and two small children (children accommodated at additional cost). 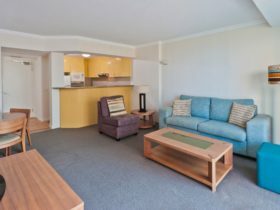 One Bedroom Apartment s are ideally suited to the leisure and corporate traveller with balcony and views of the sparkling ocean or Gold Coast Hinterland. They are spacious and comfortable apartments that feature fully equipped kitchen, separate living room, balcony, iron, ironing board and hairdryer, in room safe, tea and coffee making facilities, pay movies (fee), broadband internet and mini bar. Rates are subject to change. Rates listed are an indication only.